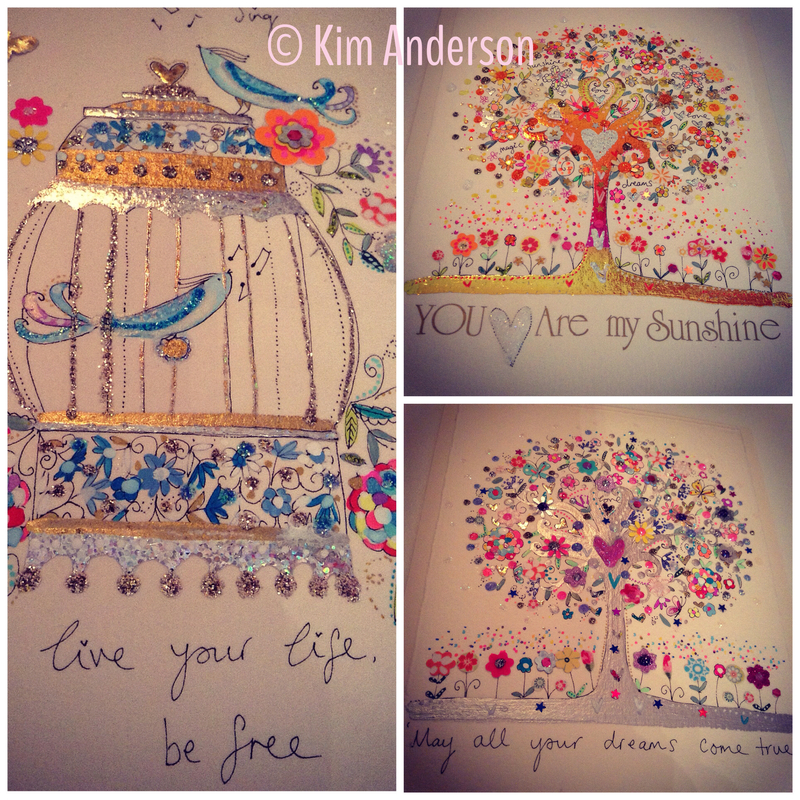 Brighton-based artist and illustrator Kim Anderson is known for her bright, bold and whimsical creations, filled with sparkle and love. Hallmarks of her style include the use of beautiful papers, the application of inks and paints in jewel-like colours and the build-up of stunning texture. Tell us about your workspace. I live in a Victorian flat and the lounge is very big and so my workspace is situated in a corner of this room. I love it because we have huge windows with wonderful views. What about the furniture in your workspace? I have a large desk from Ikea which is always clean and white for my work. 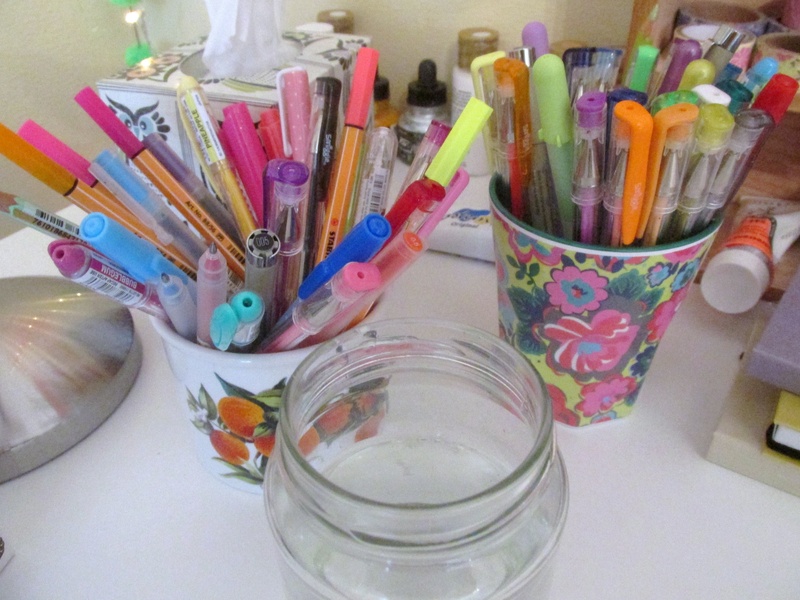 I love my vintage-style pots – I find them at boot fairs and use them to store my pens and tools. 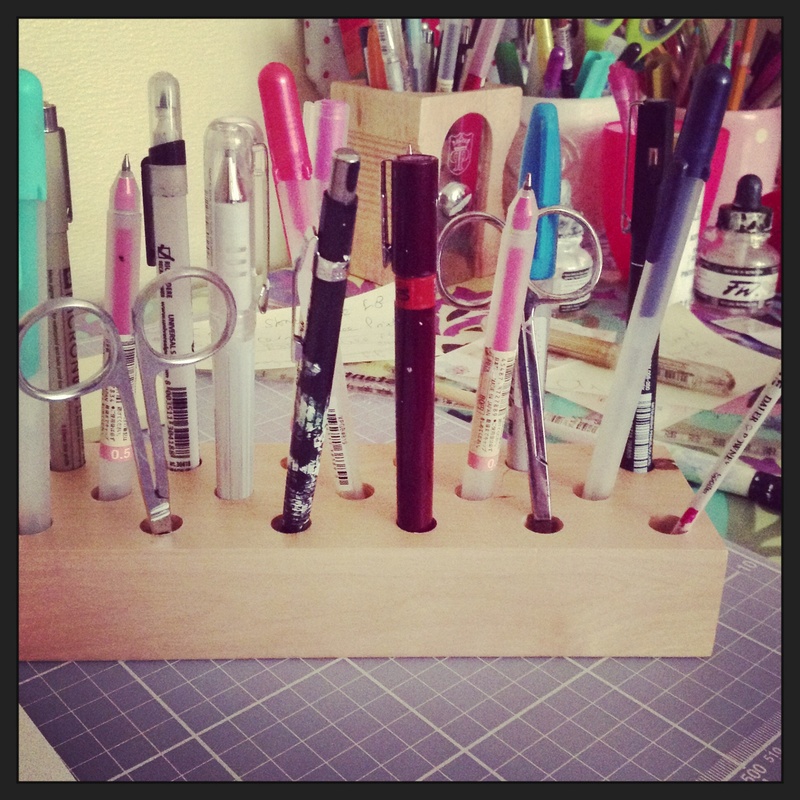 I also have a lovely upcycled wooden wine case from Baxter & Snow which is perfect for all my inks, washi tapes and glitters. 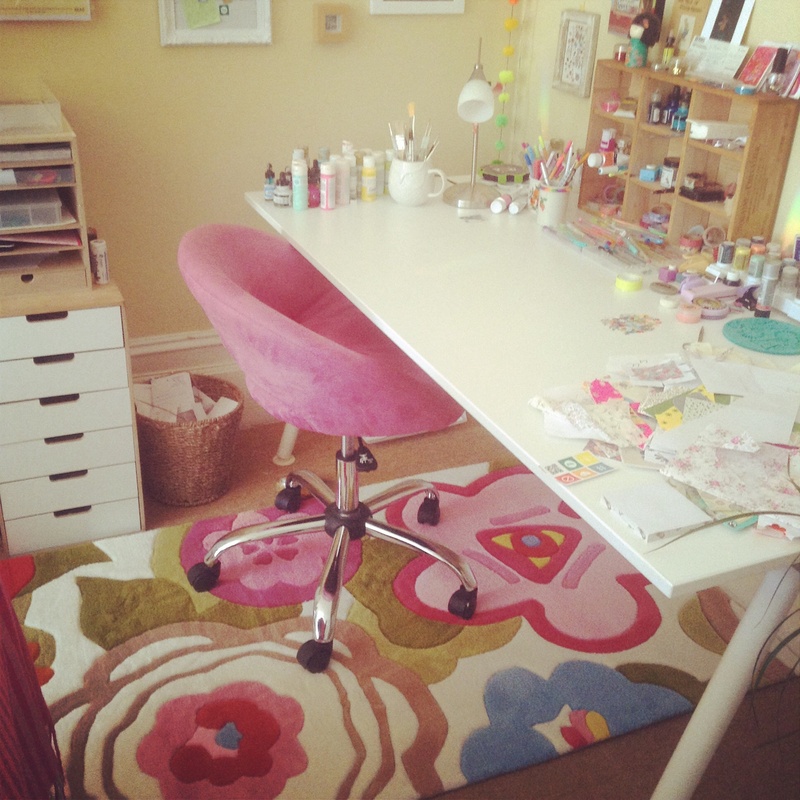 And a fab pink suede swivel chair which I love! Twinkly – very important! 🙂 I have some rice lights which hang by my desk, they give a soft white glow. I also have lots of art work on the walls from my favourite artists. All of the above! 🙂 I love my space and time flies when I sit here and create. 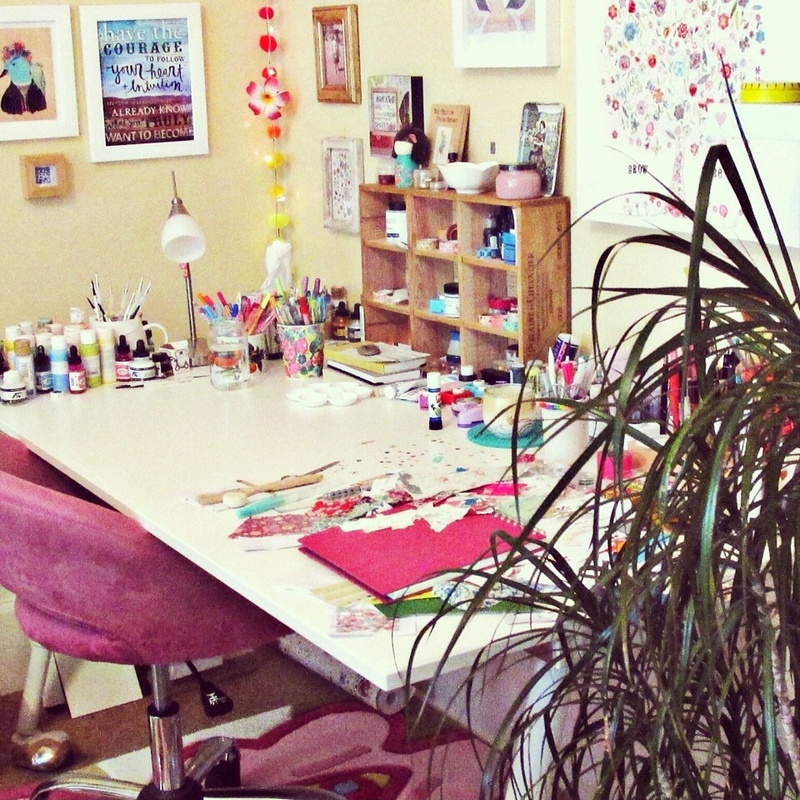 Do you have any rituals or habits when it comes to your workspace and your working day? I need everywhere to be tidy as I my work is so intricate, small and clean. I can’t focus if my home is not tidy. I love to not rush but to instead enjoy the process no matter how long one of my designs takes… If I feel stressed or rushed I believe my trees are not as magical and precious. I often have David Attenborough on the TV, I find his nature documentaries very soothing to listen to. And frequent cups of green mint tea are needed. What are your likes and dislikes when it comes to your studio? I love my huge clean white desk from Ikea, it’s perfect for my art. I love working from home too. Least favourite is… I don’t think I have one to be honest! That’s good! So do you have any plans for the future of your work area? Not at the moment, maybe in the future if we move I shall have a different studio set up. But for now, I feel lucky in our home and where my workspace is. GET INVOLVED!! Don’t forget, if you’re a creative and you’d like to get involved with Workspace Wednesday to show holmesmadepapercuts blog readers your corner of the world, get in touch! © Melissa Holmes / Holmesmadepapercuts. 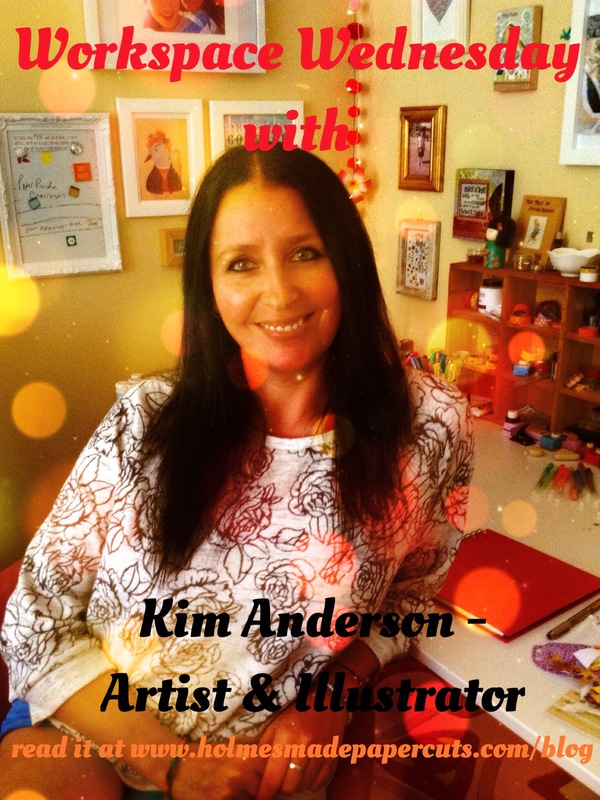 All images © Kim Anderson Artist & Illustrator.